Ohio-based pop punk band All Dogs have definitely found their way to making heart-on-their-sleeves music, and they’ve been blossoming steadily for the past few years. It isn’t just their charming brand of pop punk that’s attention-grabbing—it’s also the way in which they disarm with melancholy and emotionally bare lyrics that tip down into a sea of thrashing harmony. Their first full-length album, Kicking Every Day, is tireless, and their performances are heartwarming in a way one doesn’t usually expect to find at a loud rock show. 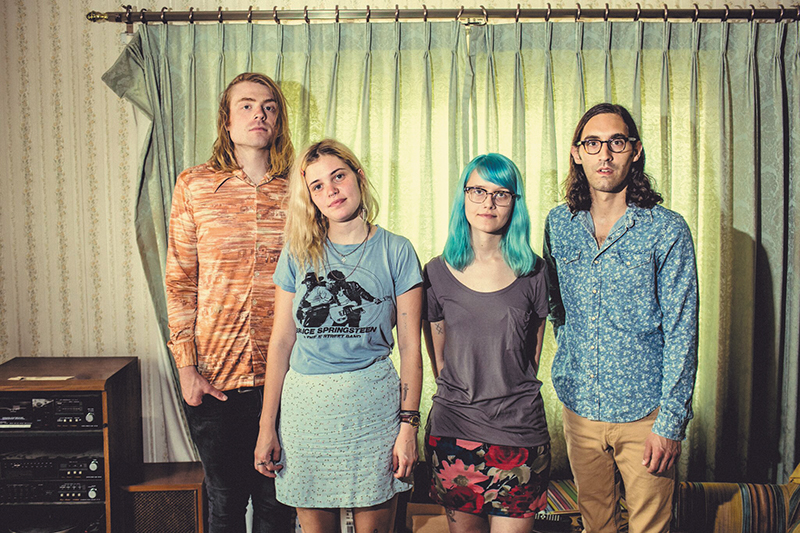 All Dogs frontwoman Maryn Jones talks about All Dogs’ growth and their upcoming tour, which includes a stop at The Loading Dock on March 26. With a down-to-earth approach to pop punk that recalls bands like Swearin’, All Dogs are simultaneously loud and gentle, with infectious hooks, steady, pumping bass and supportive drums that beat like a heart. The poignant lyrics, sung sweetly by Jones, carry it all forth into a balance that is both melancholy and excited. Before they were the dynamic pop punk four-piece they are today, they were a duo of Jones and bassist Amanda Bartley playing quiet shows together. 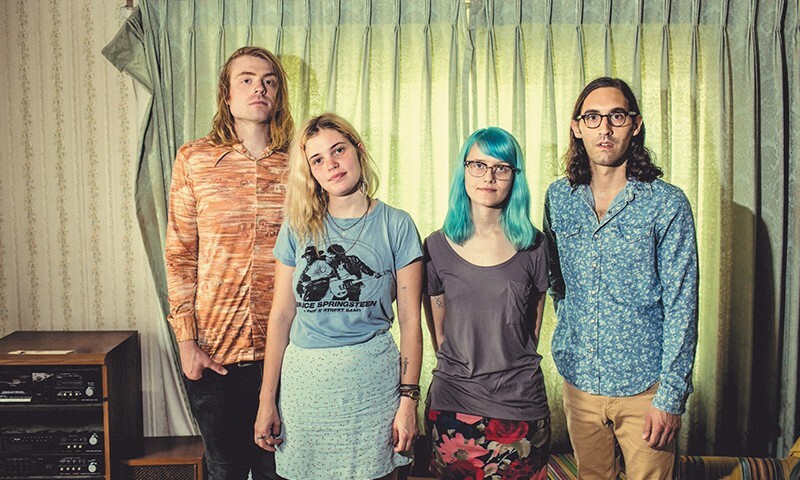 Jones also plays in indie-folk band Saintseneca and in her solo act, Yowler, a soft-spoken and emotional project whose impressions are tangible in All Dogs. Jones felt like playing “loud and angsty songs,” and at that point, they recruited drummer Jesse Withers to play with them as well as guitarist Nick Harris. 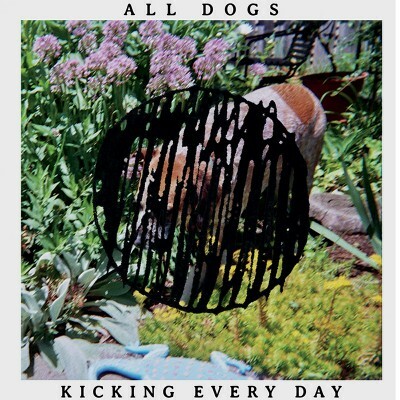 Read a review of All Dogs’ Kicking Every Day here. With the lineup in place, All Dogs developed a more collaborative writing process and built up songs, each from some guitar part or lyric. “Some of the first songs written for Kicking Every Day were based on some very bummed-out lyrics I wrote on a Saintseneca tour at 7 a.m. before everyone was awake,” Jones says. “Amanda also writes a lot of guitar parts, or sometimes we work on them together.” Being a perfect guitar player isn’t something Jones worries too much about. “I generally record videos of myself playing riffs so I remember how to play them because I know very little about chords or the notes on a guitar,” she says. To exemplify the difficulties that writing can present, Jones cites one of her favorite tracks, “Flowers,” and says, “I wrote a whole song of lyrics for it, read over them a few times and then scrapped them completely and started over.” Of other favorites, she says, “I really like the quiet song ‘The Garden,’ too. It’s sort of out of character from the rest of the record, but I love how it also fits even though it sounds so different. We haven’t played that one live yet, though.” The contrast between these two songs highlights the diversity of emotions that the album spans. “Flowers” opens with a crazy poppy hook, yet “The Garden” is just Jones singing with a squeaking guitar. Each song on the album bounces between these poles: The same song is sometimes dark and lonely, but then bright and aggressive again. Combined with the lyricism, these mood jumps make the whole album achieve a feeling of determination, pushing to force the noise out, whatever form it may take. We’ll all be able to have the experience of seeing All Dogs soon with the upcoming tour dates around the States. In addition to seeing friends all over the country when on tour, Jones also likes hanging out in the desert, and what’s more desert than the expanse of Utah’s that stretches between here and … any other urban area? Nothing. So be sure to catch All Dogs when they venture into our springtime desert March 26 at The Loading Dock.